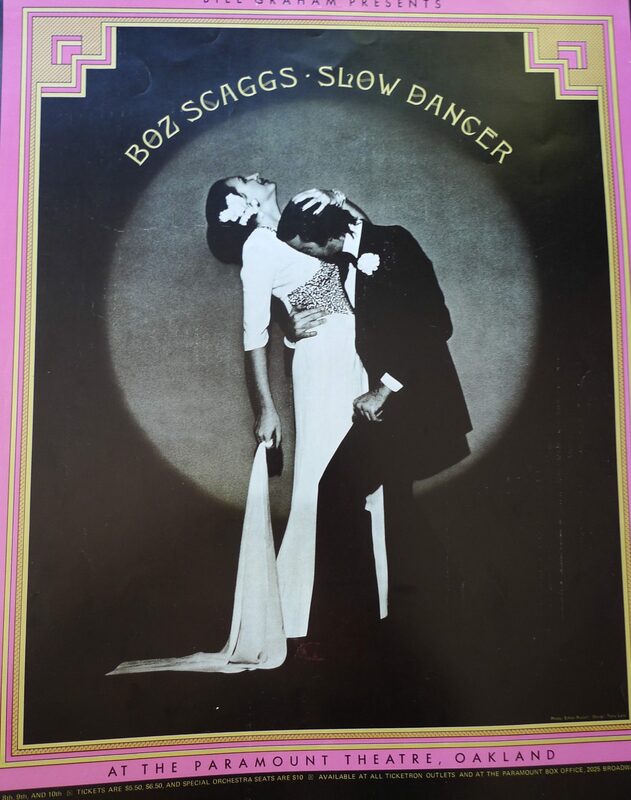 This is an original poster from 1974. bill Graham presents Boz Scaggs. ‘Slow Dancer’ is the 6th album from the band. Artist is Tony Lane and Ethan Russell.